Roosters, hens and lots of flowers. 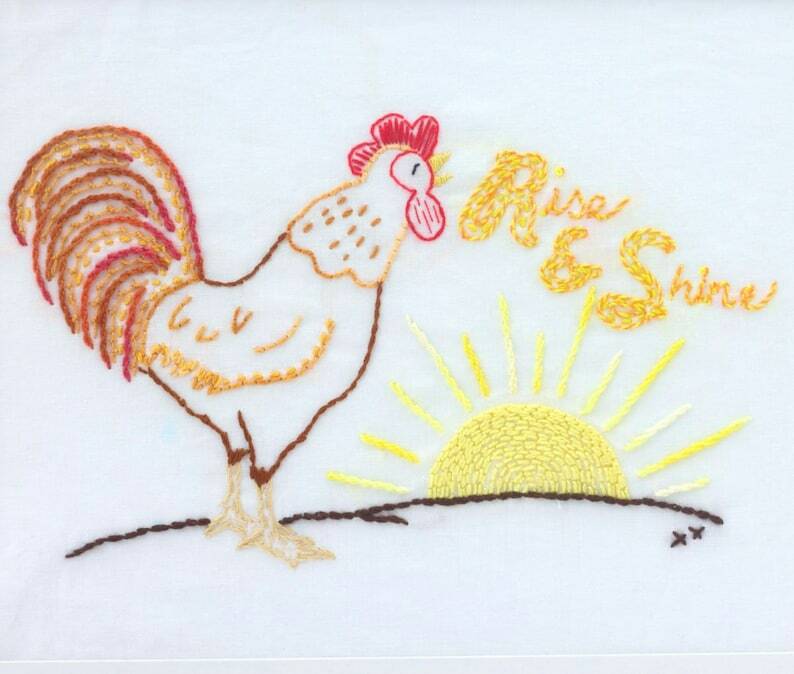 This hand embroidery pattern set is full of country charm, perfect for your farmhouse or country themed kitchen. This is a 12 page digital download in pdf format. This includes a cover page and 11 pages of beautiful country themed motifs and borders. Use these motifs for decorating all your kitchen lines, potholders and aprons. These motifs are also perfect to decorate shopping bags, pillows, quilt blocks, applique templates and even to stitch and frame as a picture. Thank you for everything, I appreciate it! All things chickens, the way to my heart!